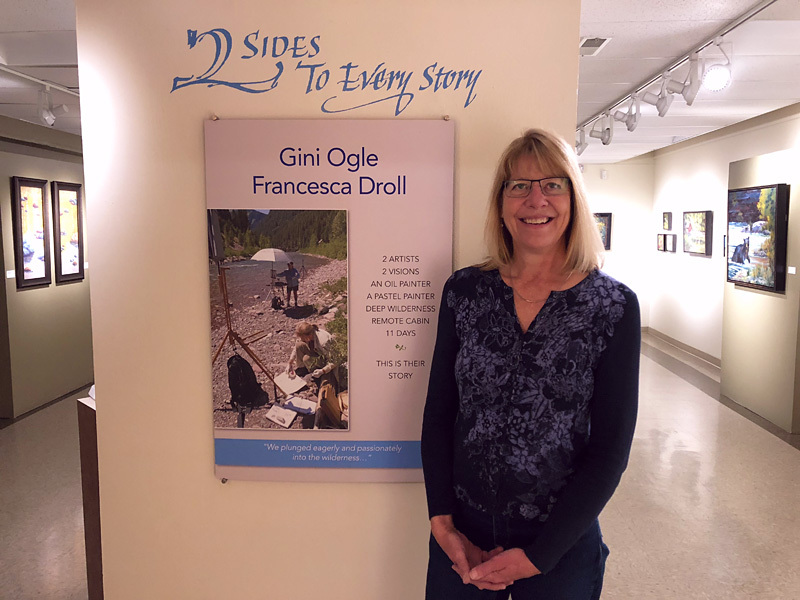 Many people expressed interest in hearing about our backcountry adventure that resulted in the “2 Sides to Every Story” exhibit at the Hockaday Museum of Art in the fall of 2018. 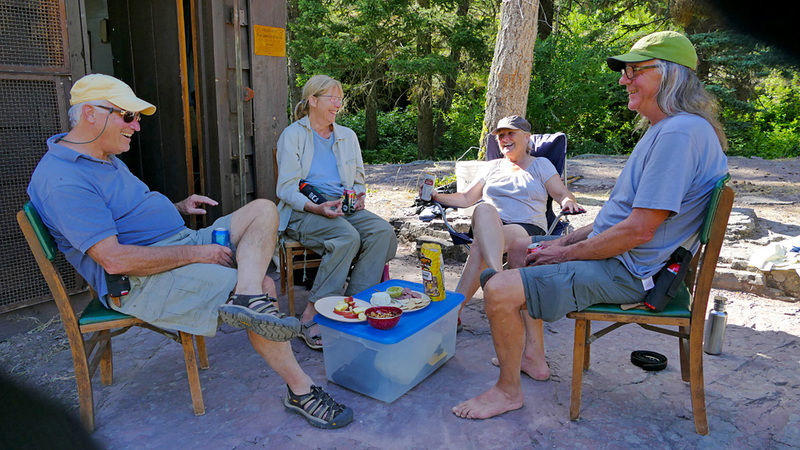 Despite having close to 175 people attend our opening reception and presentation, there are many who have not heard the backstory of our time out in the Bob Marshall Wilderness. With that in mind, I’ll be posting the narrative from my journal along with photos and artwork. There will be quite a few weekly installments to keep the reading of the story manageable. I’ll send email notifications when I’ve posted each installment. My first installment will be this Friday, January 18th, and each subsequent installment will be every Friday. 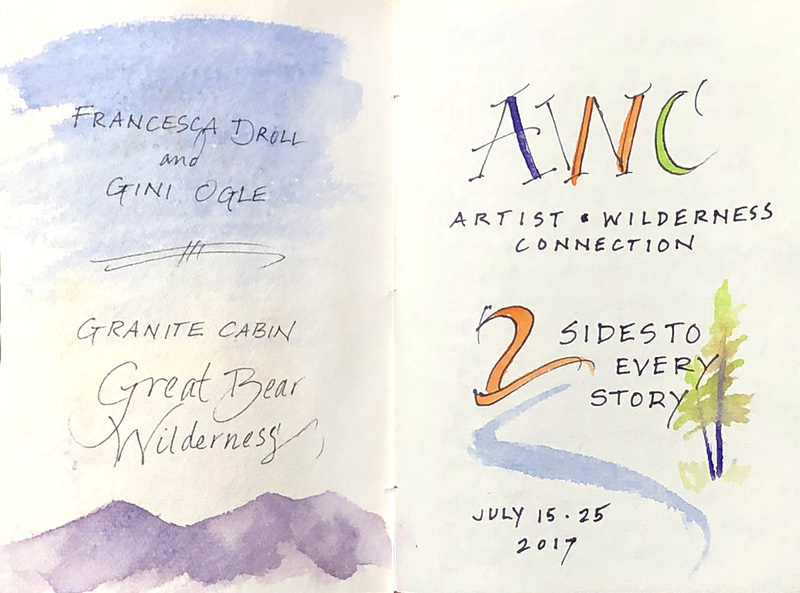 Our adventure began when Gini Ogle and I sent in our applications for the Artist-Wilderness-Connection program. We were fortunate to have been chosen as participants for the summer of 2017. 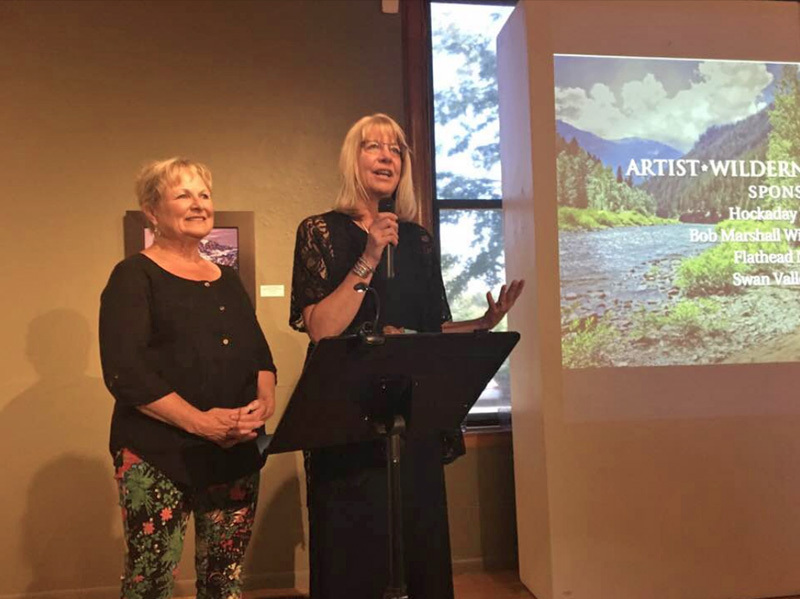 The program is sponsored by the Hockaday Museum of Art, The Bob Marshall Wilderness Foundation, Flathead National Forest and Swan River Connections. 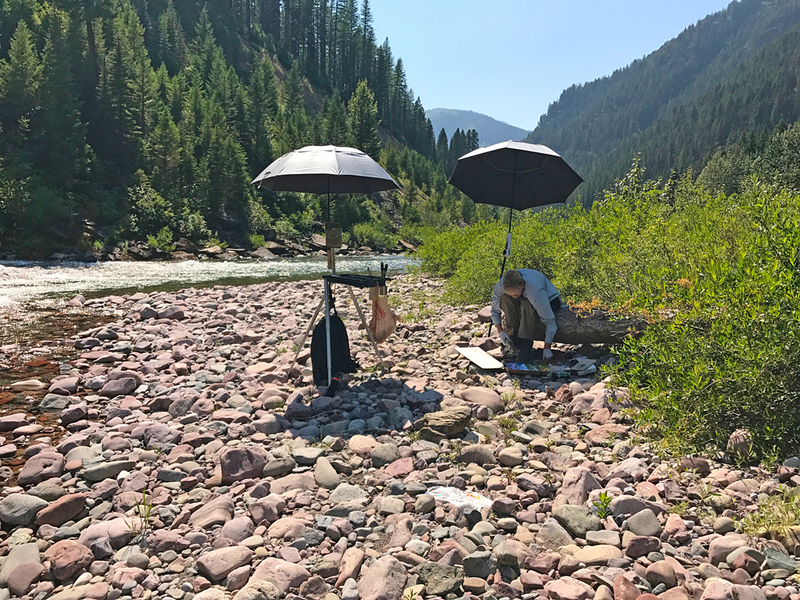 In addition to spending time in a forest service cabin on the middle fork of the Flathead River, we painted a body of work for exhibition and gave tours to school children and other interested parties. I hope you enjoy the journey and I appreciate your interest. Happy trails to you! 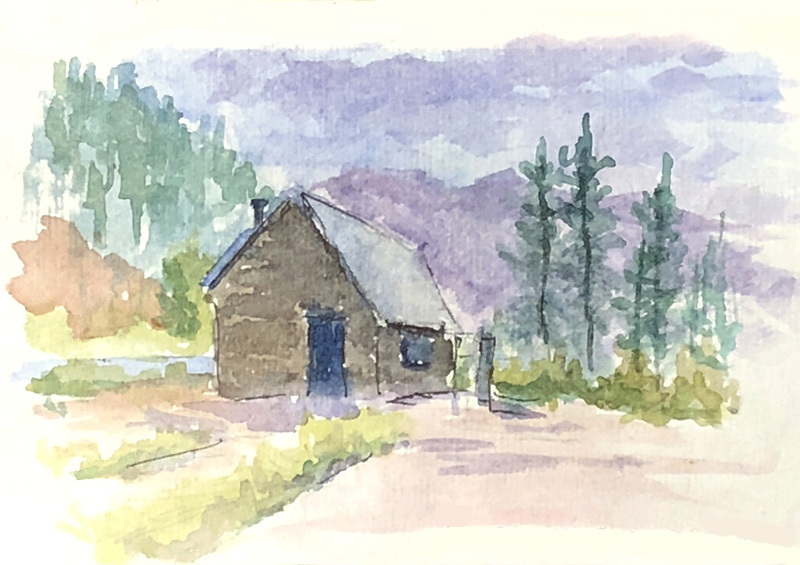 From Francesca’s journal—a watercolor of the cabin we stayed in for 11 days. Francesca standing in the exhibit room. Francesca surrounded by some of her paintings and the video of the experience. This is so exciting! Not being there for your exhibit, I really appreciate this. Thank you! I am looking forward to your blog! 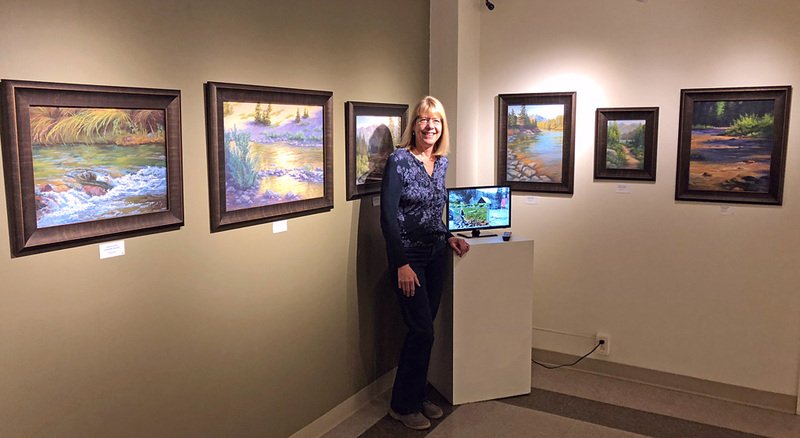 I’m so happy: I can look at your art any time I want to on this gorgeous website! What incredible work. This is fantastic. Never been in the Bob Marshal so this might be my chance! Thank you for sharing your adventure, making it possible for all of us to catch a glimpse.! Thank you! I am so ready for this journey! Thank you for your interest, Nancy! So glad I got to go to your exhibit at the Hockaday. Your paintings are fabulous. Loved seeing the pictures you posted of your journey getting there. Thanks, Katherine. I’m having fun reliving the experience by sharing it with you. I’m so glad you are joining us for the journey! 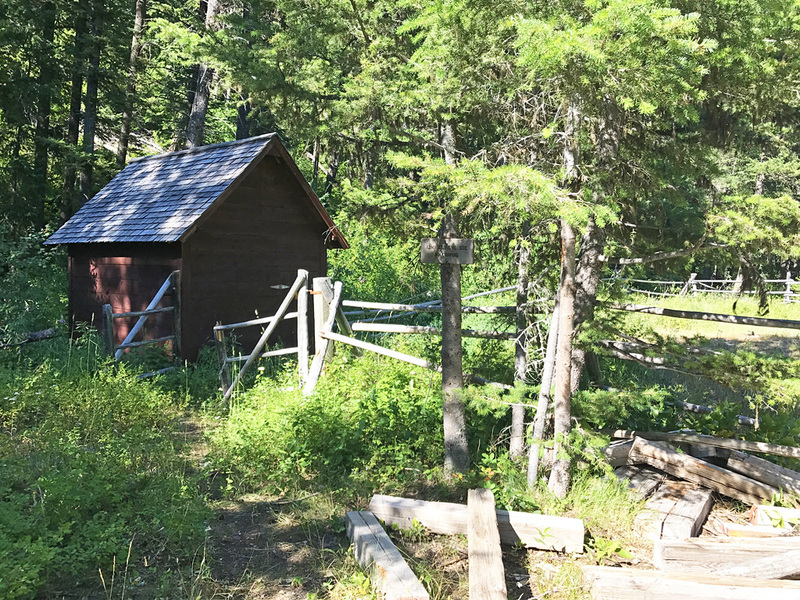 Hoping this will inspire me as a potter…to apply for a chance to experience wilderness turned into clay. Excited to follow along! Hello Joanna! Yes, do apply and how wonderful it would be to see your experience rendered in clay. I can’t wait to see it! Let me know if you have any questions.